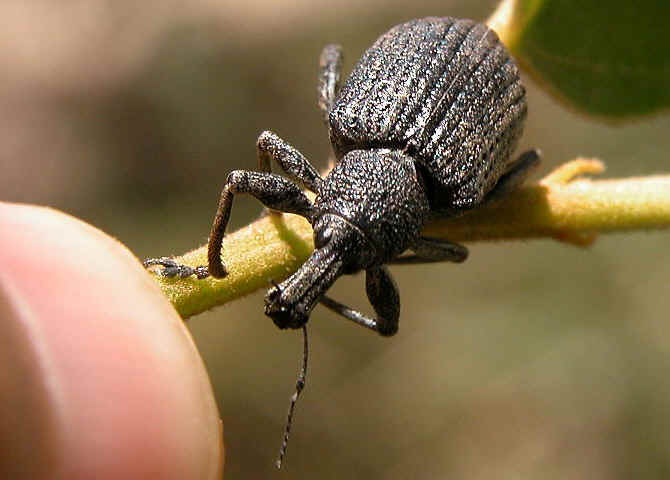 This page contains information and pictures about Gum Tree Black Weevils that we found in the Brisbane area, Queensland, Australia. 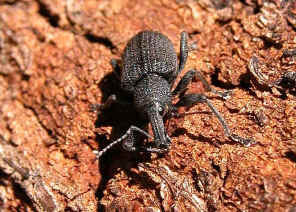 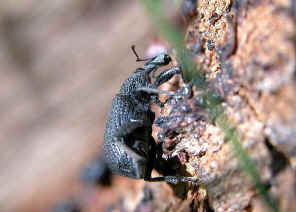 We saw this black weevil a few times in Karawatha Forest during mid summer. 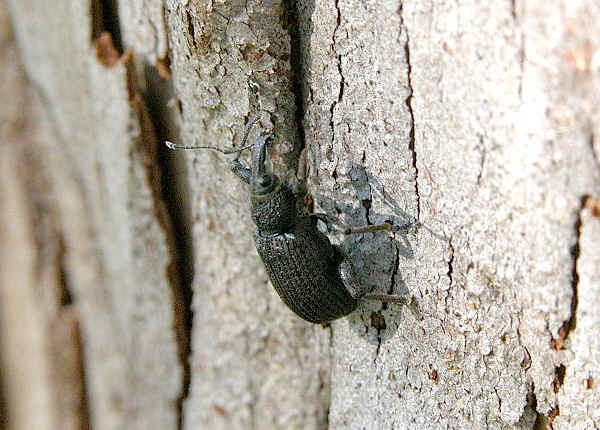 It was usually found climbing on large gum tree trunk. 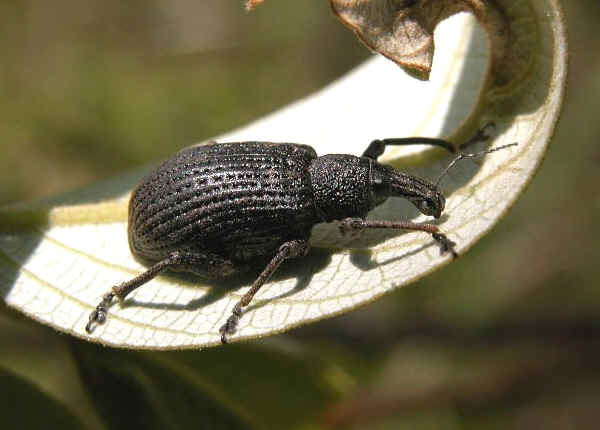 On a mid-summer morning, we also found this black weevil resting on leaf. It was slow moving. Did not quite move even we touched it. 1. 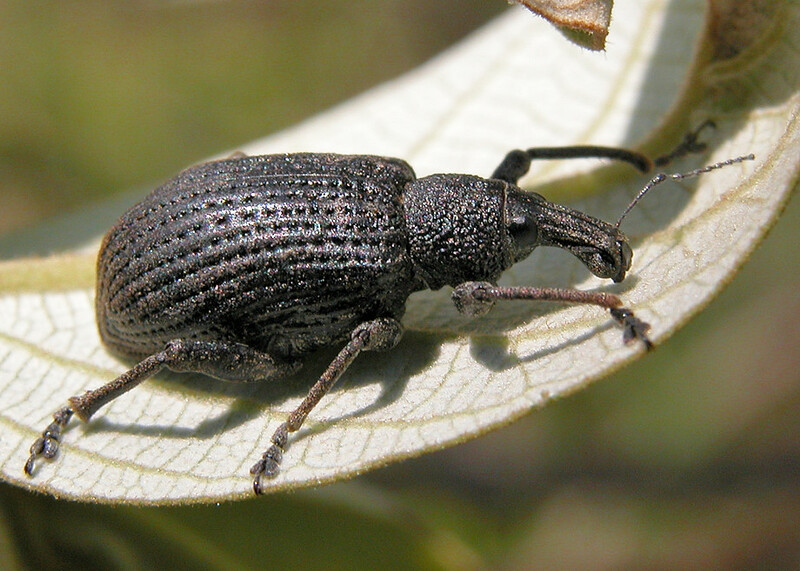 Australian Weevils - Zimmerman, E.C., CSIRO PUBLISHING, 1991, Plate 288.